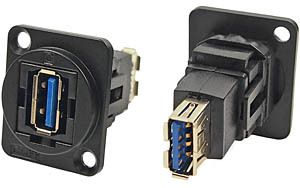 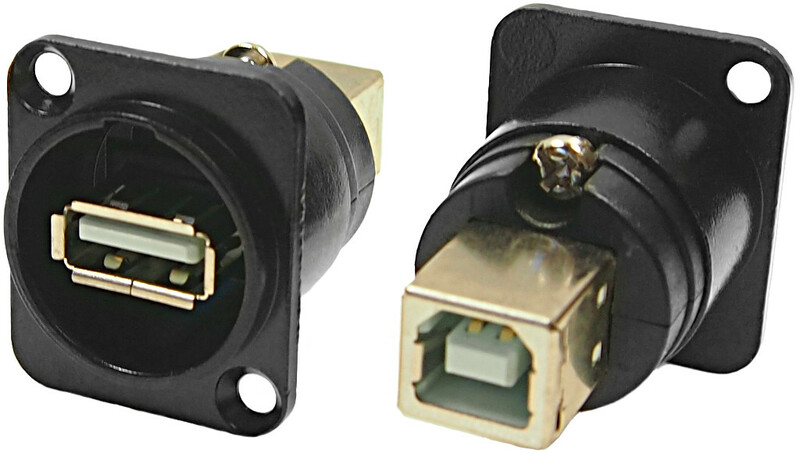 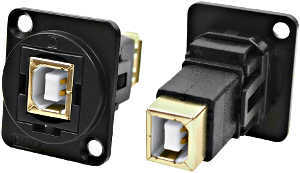 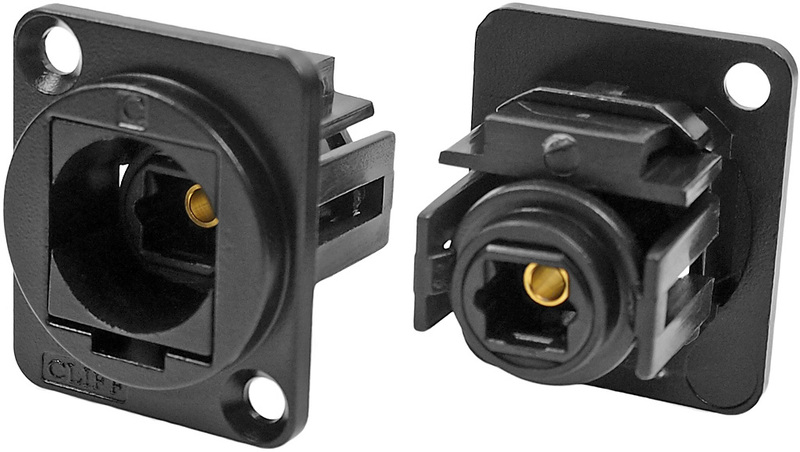 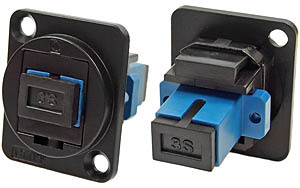 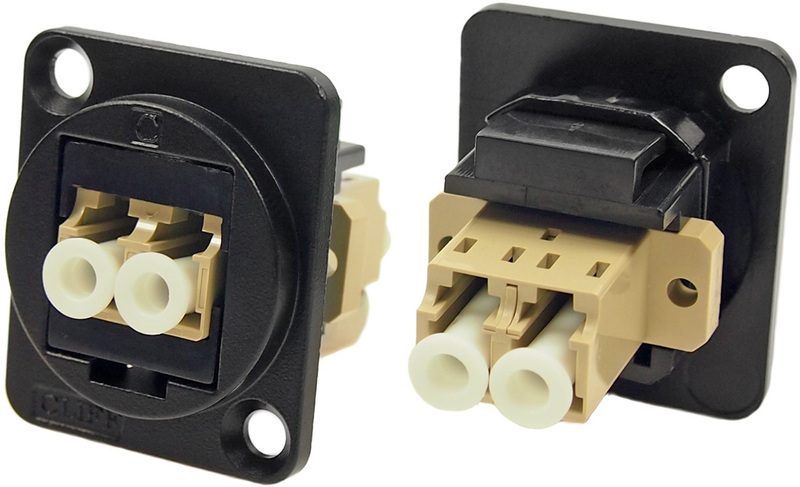 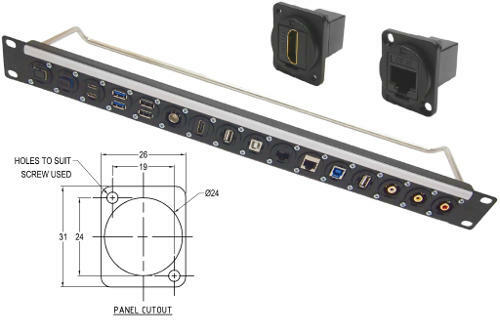 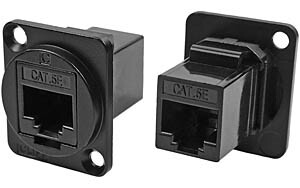 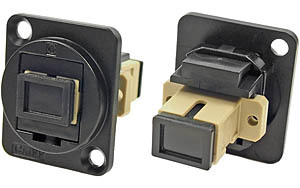 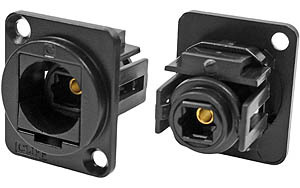 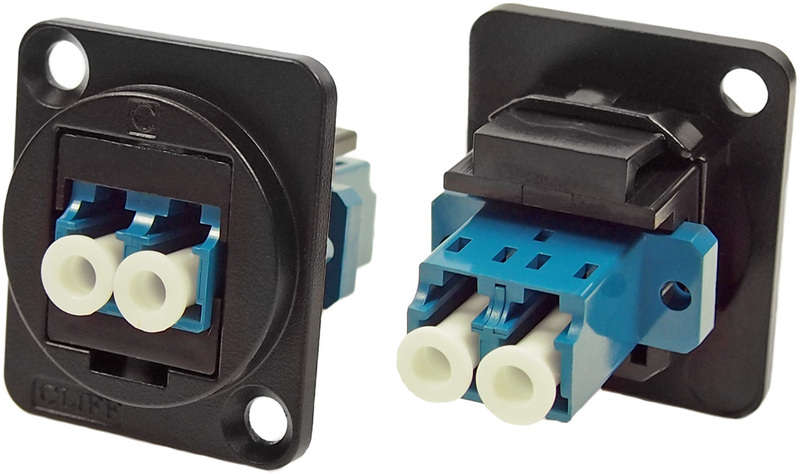 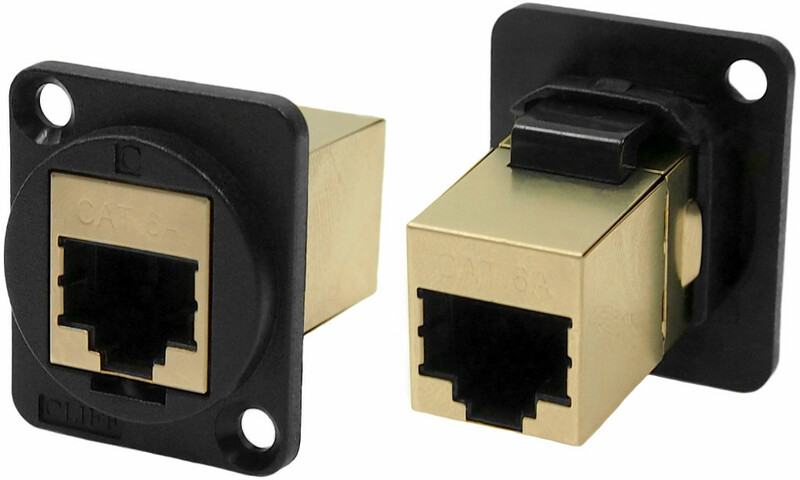 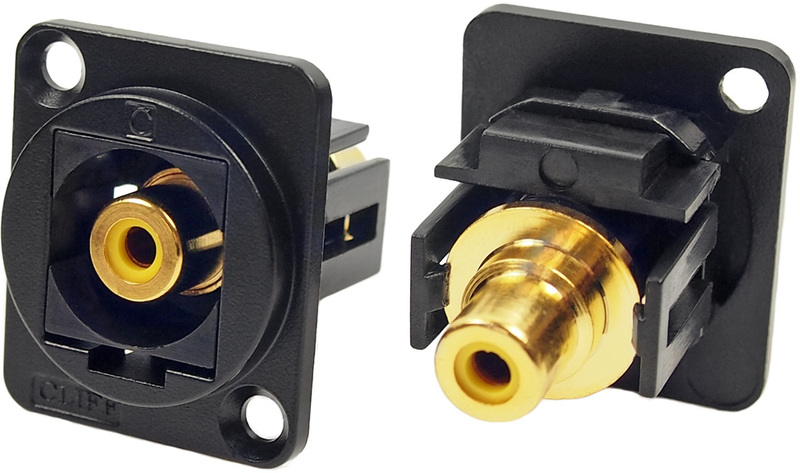 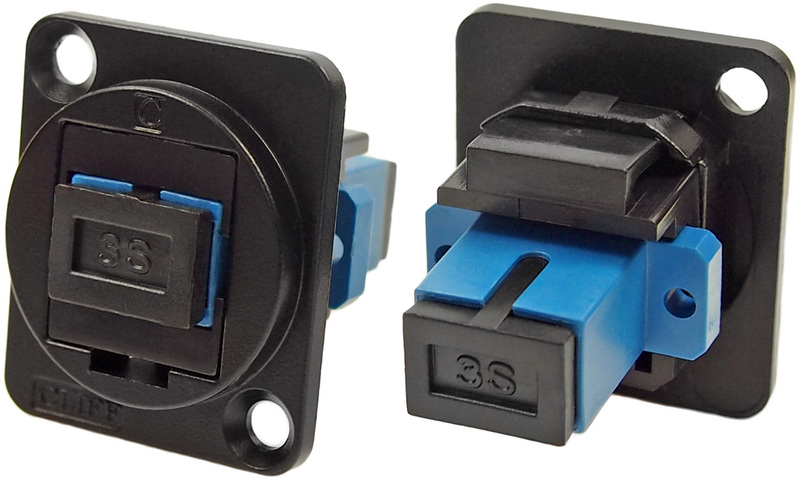 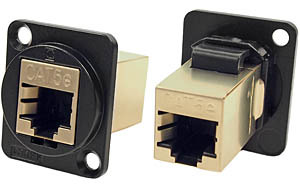 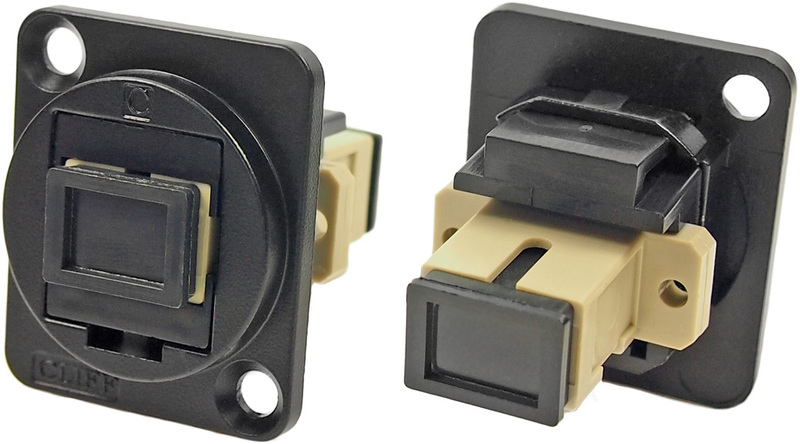 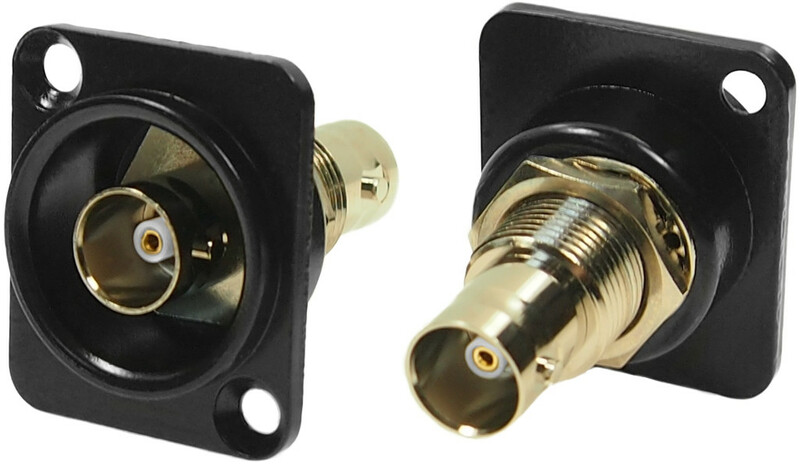 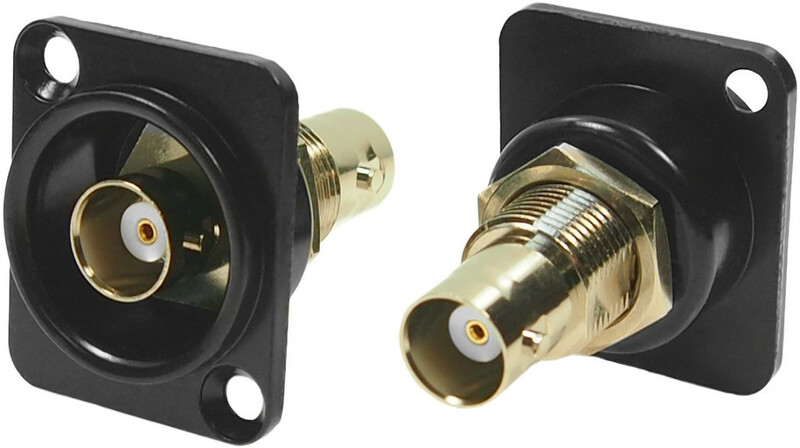 The black metal FT series of true, feed through, data connectors for electrical instrumentation are perfect for developing custom I/O configurations for wall plates, rack panels, etc. 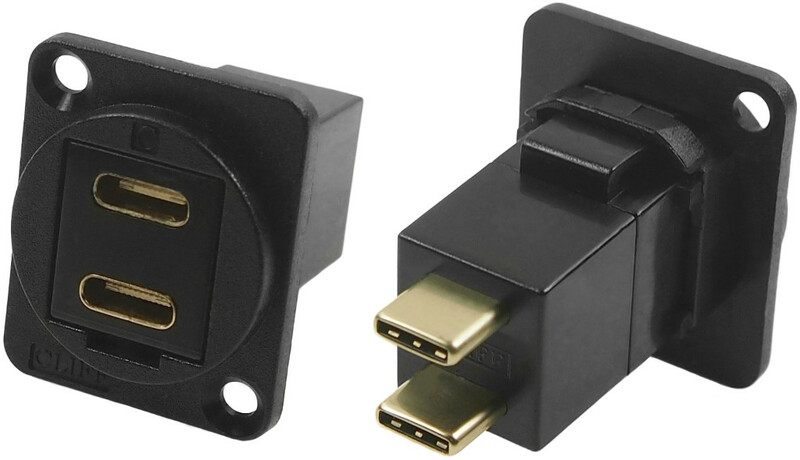 Available in a wide variety of styles. 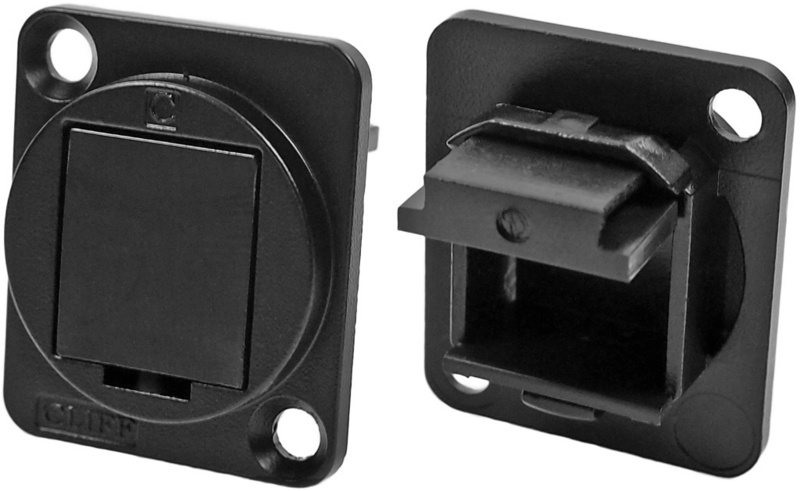 The frame has a matt black finish. 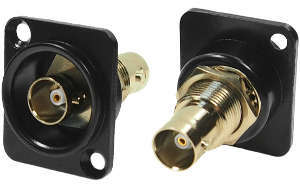 Black Metal Feedthrough Data Connectors in XLR shell (opens in a new window). 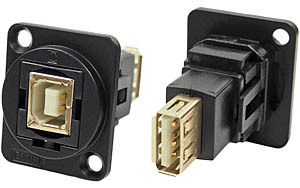 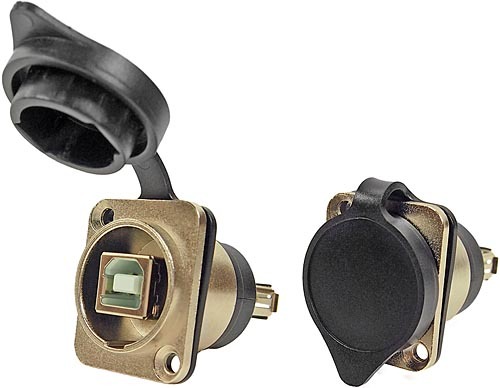 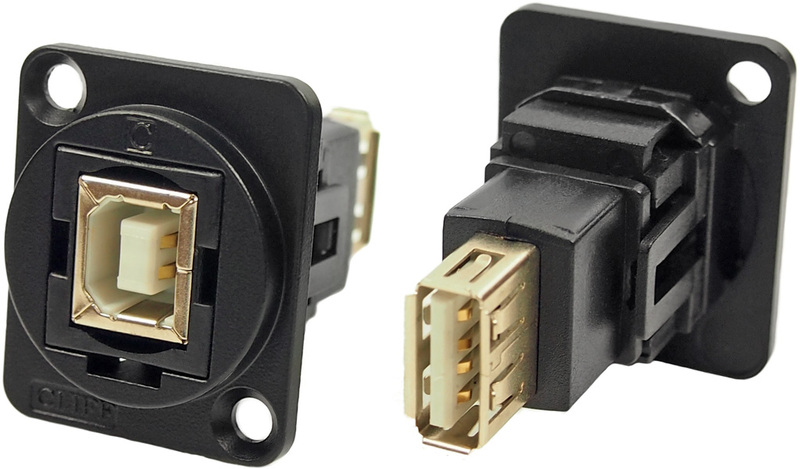 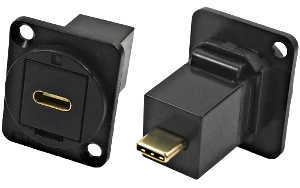 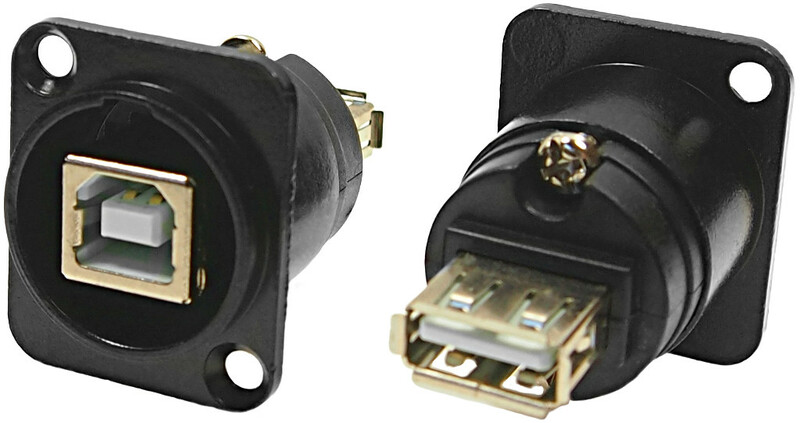 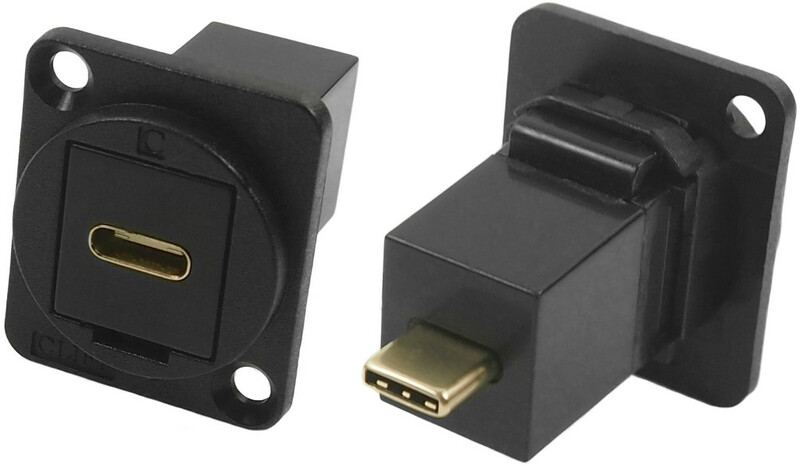 HDMI A female to HDMI A female, vertical mounting, gold plated. 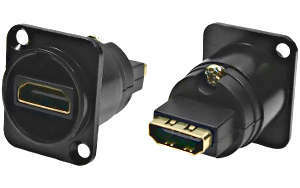 HDMI A female to HDMI A female, horizontal mounting. 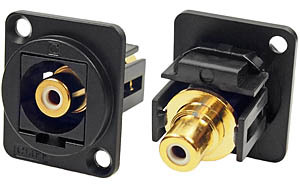 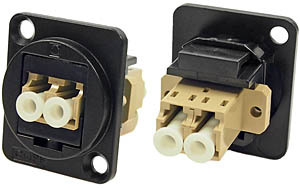 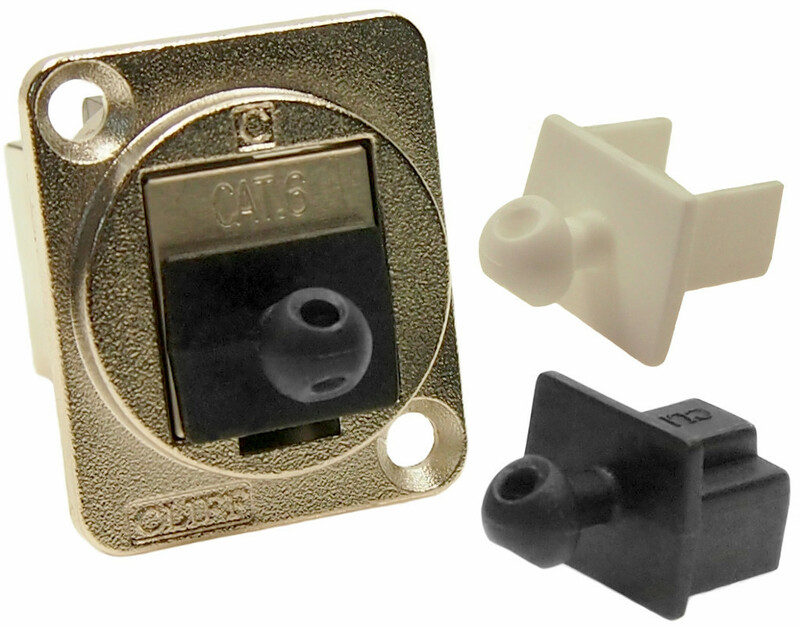 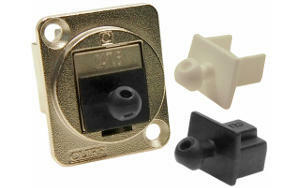 Optional black sealing cap CP30112 available. 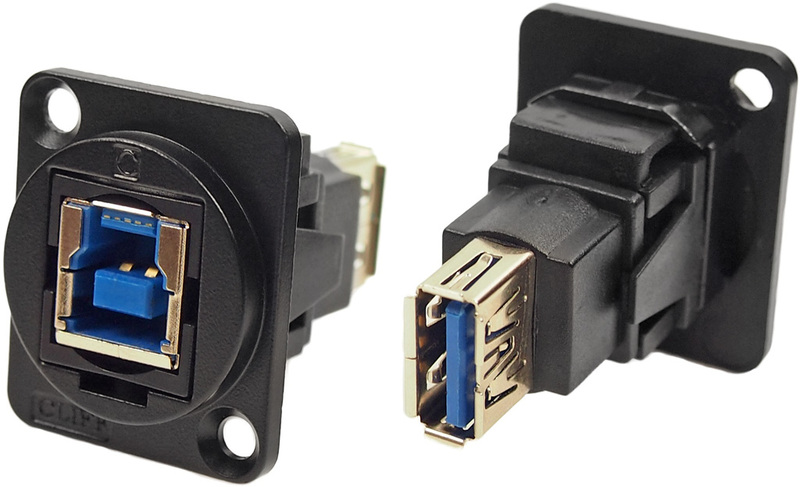 USB 2.0 B to USB 2.0 B.
USB 3.0 B to USB 3.0 B.
USB 3.0 A to USB 3.0 A.
USB 3.0 B to USB 3.0 A.
USB 2.0 B to USB 2.0 A.
USB 2.0 A to USB 2.0 A.
USB 2.0 A to USB 2.0 B.
USB 3.0 A to USB 3.0 B.
Dual USB C female to USB C male, nickel plated. LC Duplex SM optical fibre. 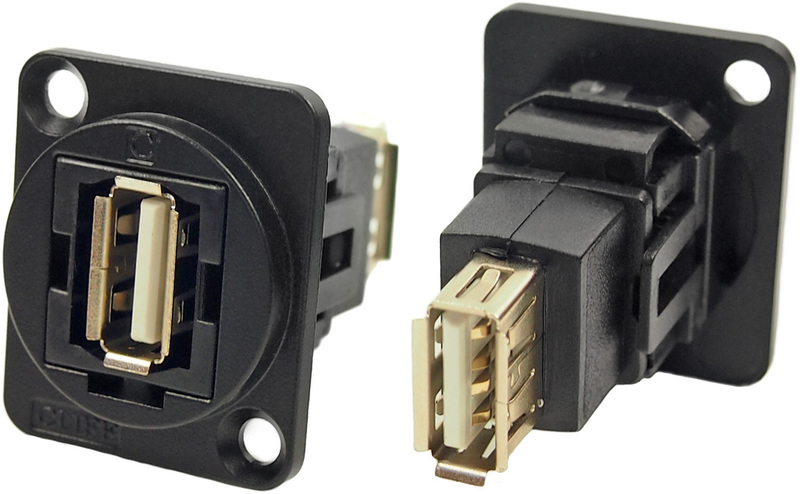 fiber. 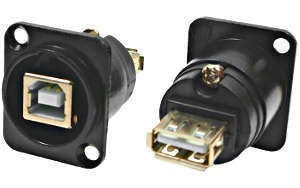 LC Duplex MM optical fibre. 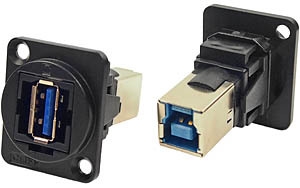 fiber. 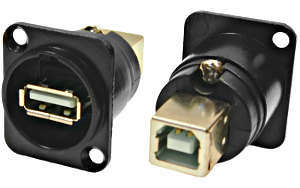 SC Simplex SM optical fibre. 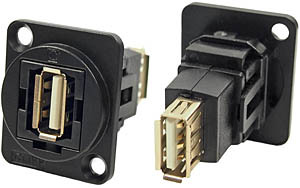 fiber. 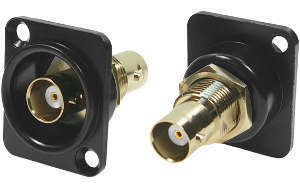 SC Simplex MM optical fibre. fiber. 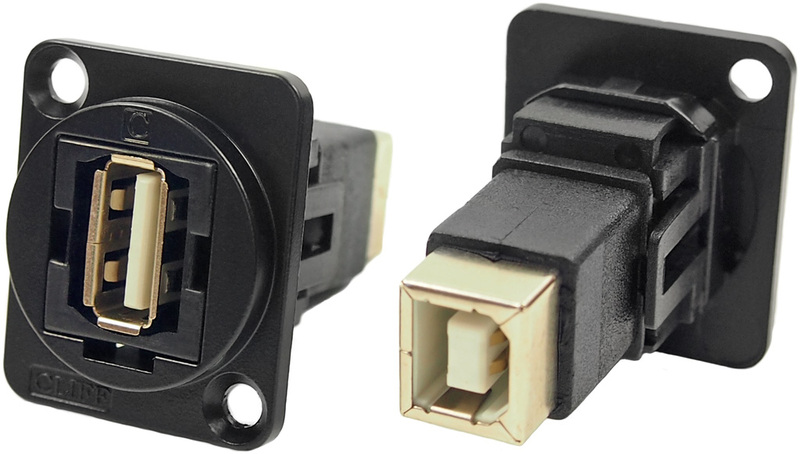 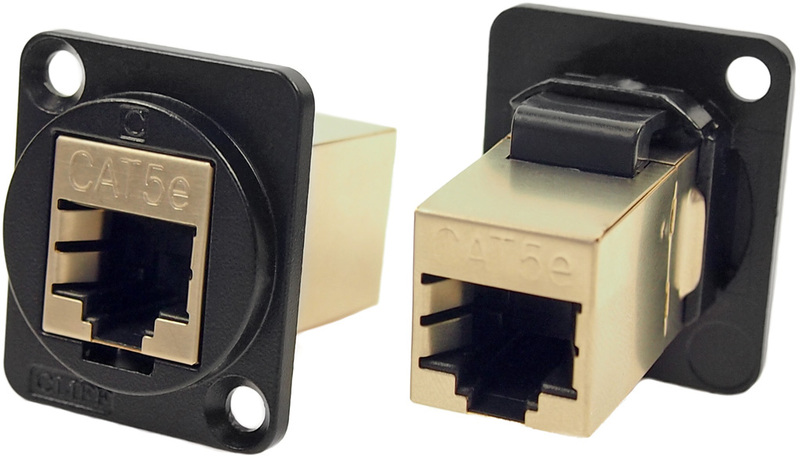 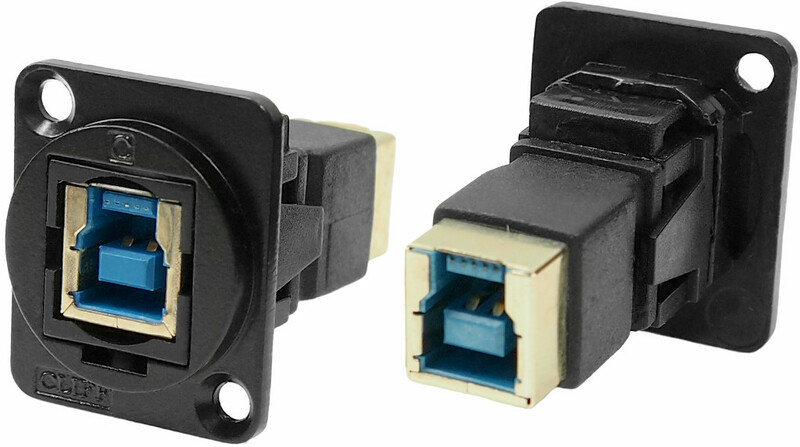 UTP Cat5e RJ45 to RJ45. FTP Cat5e RJ45 to RJ45, shielded. 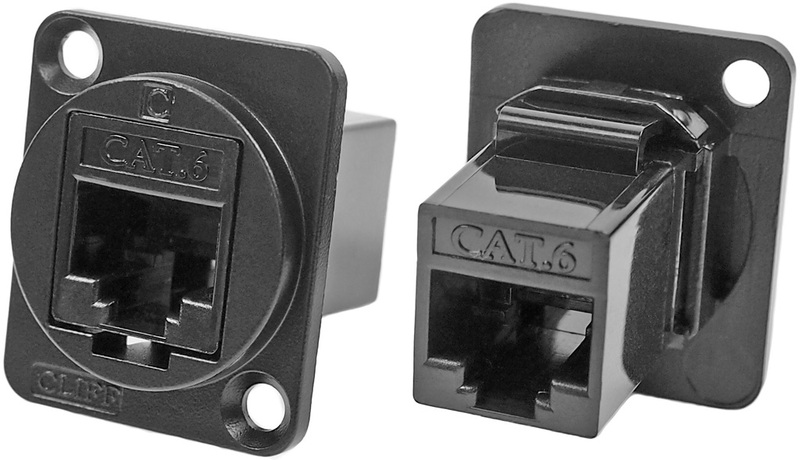 UTP Cat6 RJ45 to RJ45. 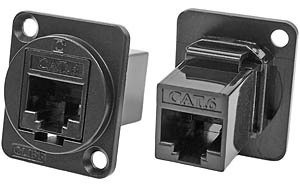 FTP Cat6 RJ45 to RJ45, shielded. 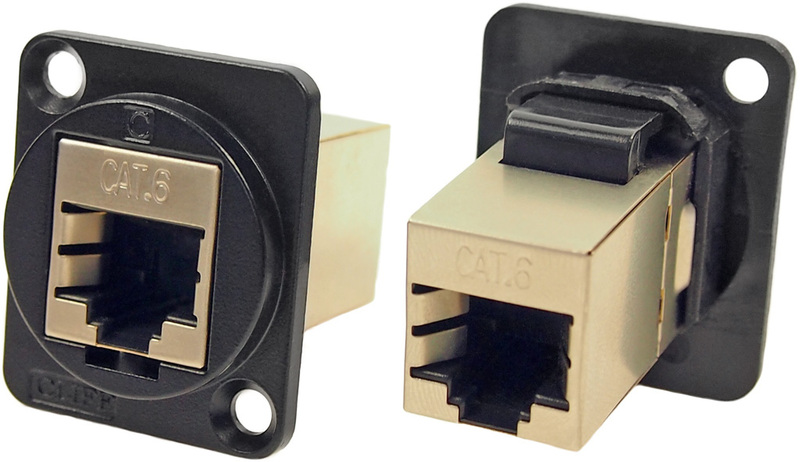 FTP Cat6A RJ45 to RJ45, shielded. 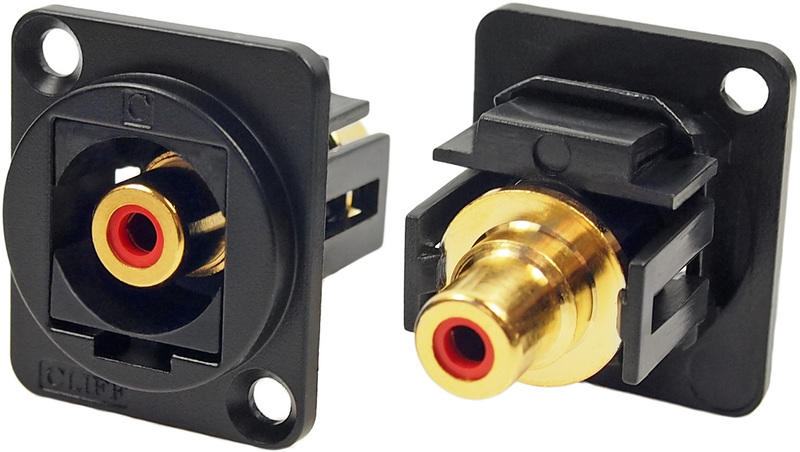 RCA Phono / Cinch, red. RCA Phono / Cinch, white. 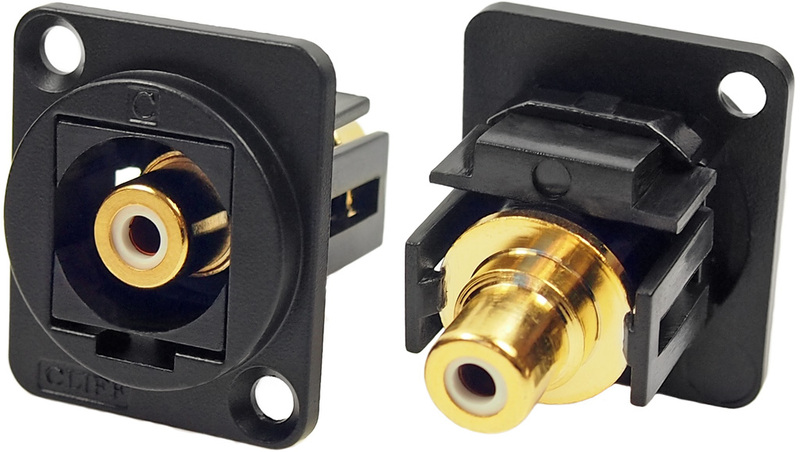 RCA Phono / Cinch, yellow. 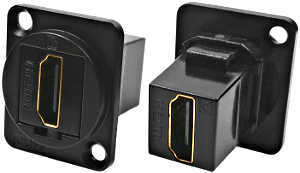 Other colours available on request. 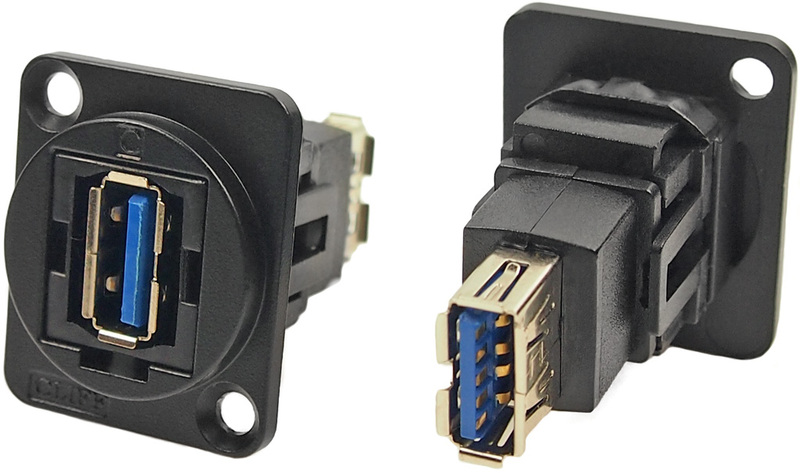 USB 2.0 A to USB 2.0 B. Rugged black metal housing. 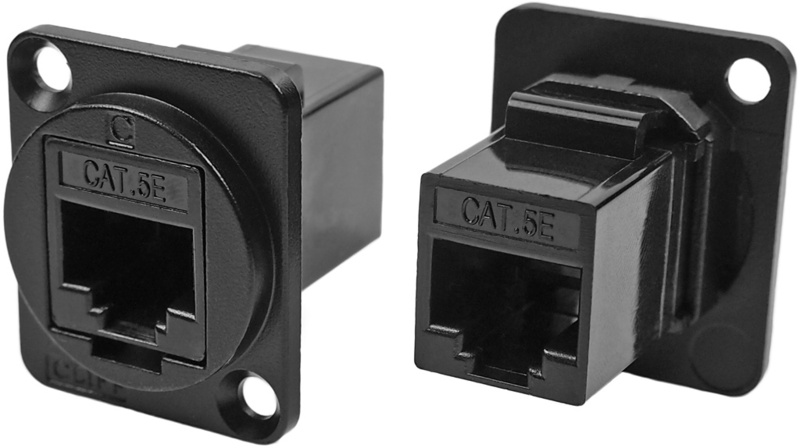 Optional black sealing cap CP30112 available. 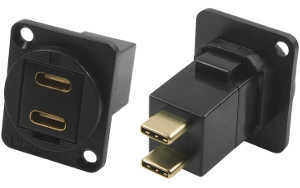 USB 2.0 B to USB 2.0 A. 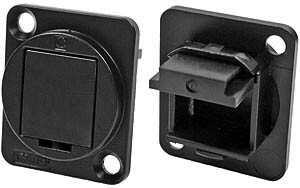 Rugged black metal housing. 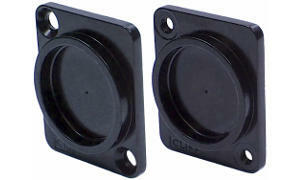 Optional black sealing cap CP30112 available. 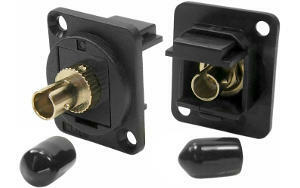 BNC to BNC. 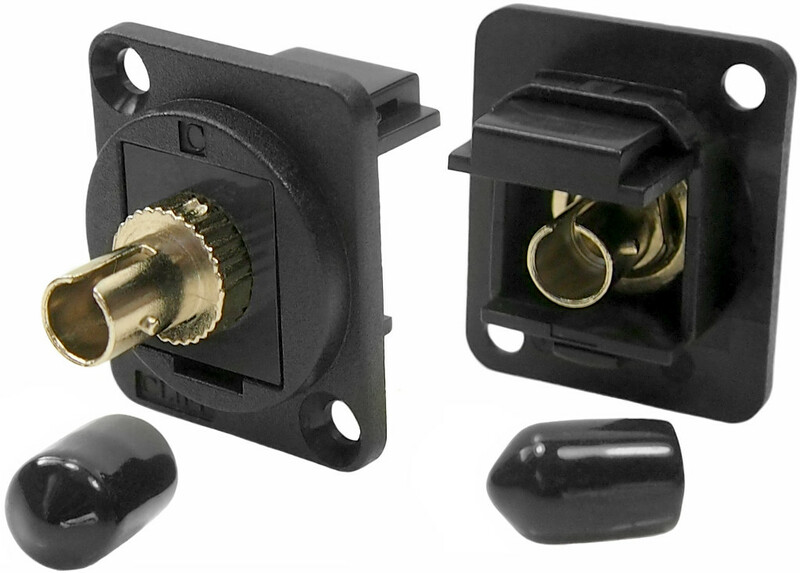 Note: Black sealing cap is NOT suitable for BNC models. 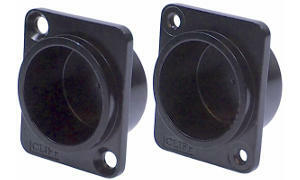 CP30120 50 ohms, countersunk hole. 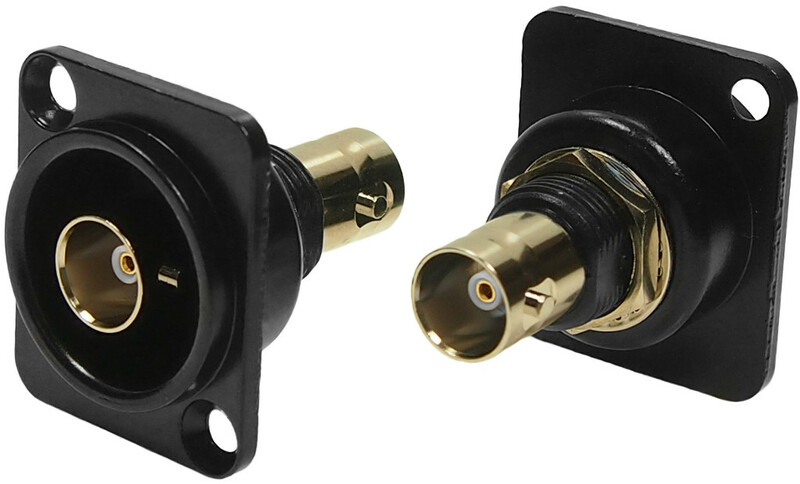 CP30121 75 ohms, countersunk hole. 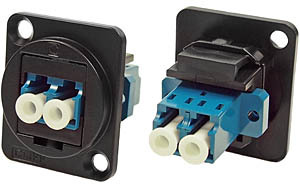 BNC to BNC - insulated. 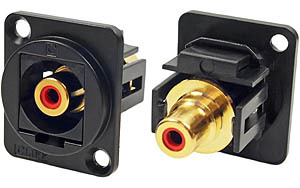 Note: Black sealing cap is NOT suitable for BNC models. 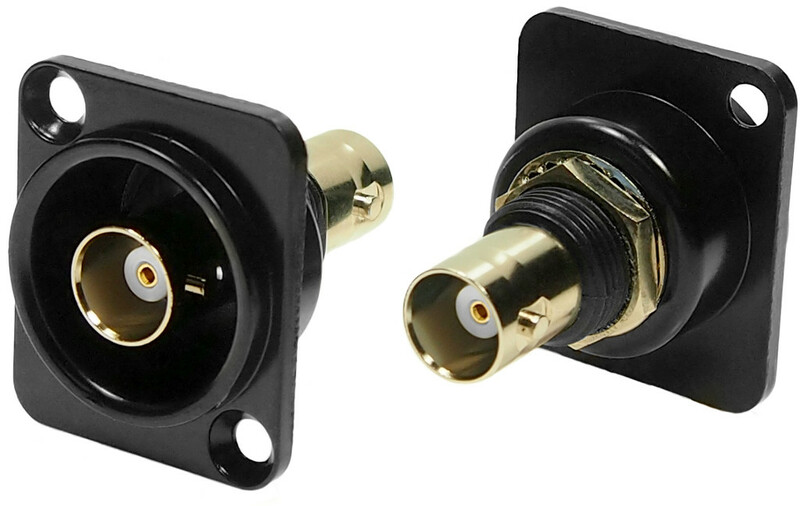 CP30125 50 ohms, countersunk hole. 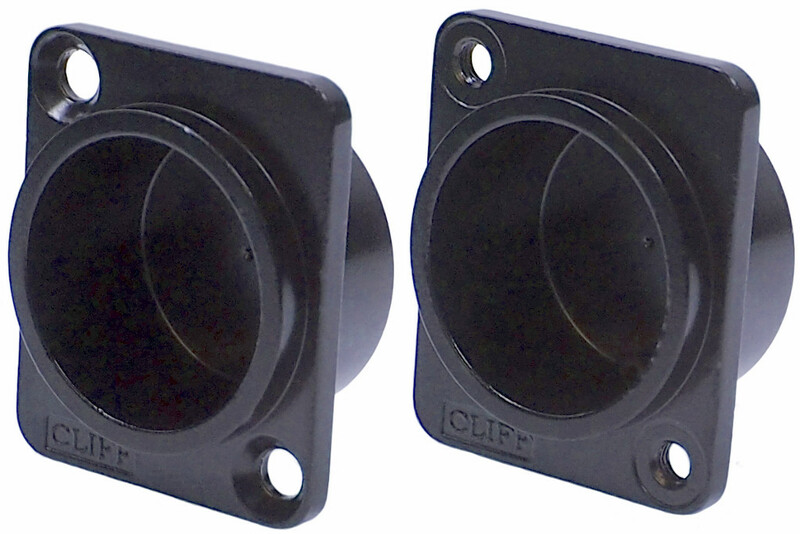 CP30126 75 ohms, countersunk hole. XRP3 3mm deep, black metal recess plate for custom mounting options. 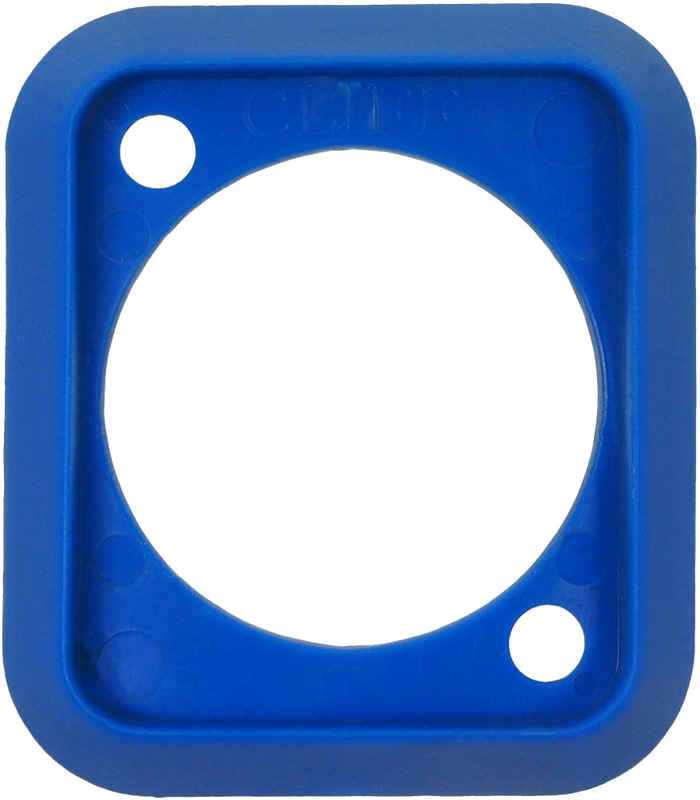 Drill or punch guide. 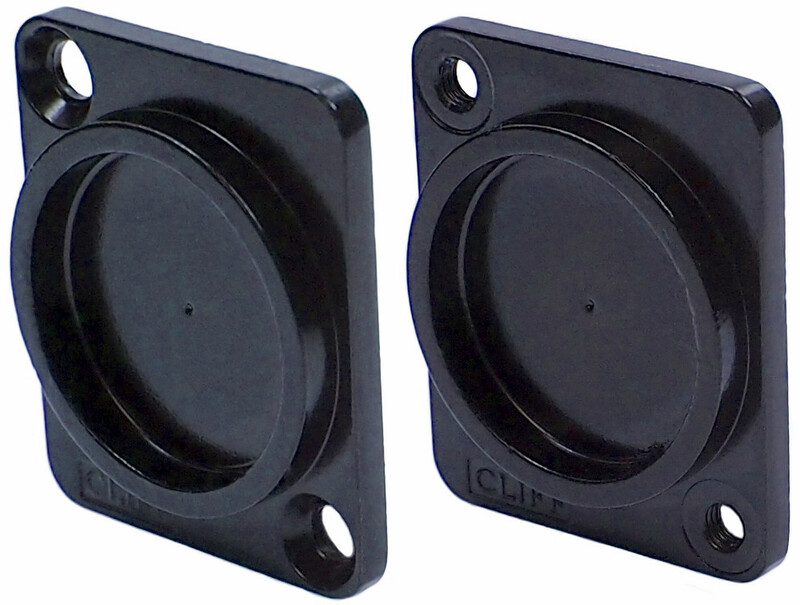 XRP12 12mm deep, black metal recess plate for custom mounting options. 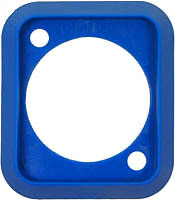 Drill or punch guide.